Home » 'CHOP Talk' Blog » Ask and You Will Receive – the Holy Spirit! Ask and You Will Receive – the Holy Spirit! Comments Off on Ask and You Will Receive – the Holy Spirit! What would God’s answer to this prayer look like? What do we miss out on from neglect of asking for the Holy Spirit from our Heavenly Father? This invitation to ask for the Holy Spirit concludes a block of Jesus’ teaching on prayer in Luke 11. Our Lord’s instruction came in response to His disciples asking Him to teach them to pray. Jesus had been praying with His disciples present. Evidently, seeing His prayer prompted a dissatisfaction in their own prayer lives. Perhaps, it exposed a deficiency. In teaching on prayer, Jesus directs our attention to the God we entreat. The model prayer focuses us on the Father. The parable shocks us at God being compared to a begrudging friend, and encourages us to petition a Father who freely gives, when we persevere in asking. Jesus also assures us that what we receive from His hand is undoubtedly “good,” despite appearances to the contrary. That means we need to regard God’s denial of a request as for our good, as that good is determined by our Heavenly Father. That puts the rejection letter from the college we so desperately wanted admission or the job that we thought just right in a whole new light. Finally, in His teaching block Jesus directs us to the Father in order to seek Him for something we likely never thought to ask – that He would give the Holy Spirit to us. For many of us, that is not on our wish list. Plus, don’t we have the Holy Spirit already as regenerate sons and daughters of God? Isn’t that Jesus’ point when He speaks in John 3 of being born again of the Spirit? Isn’t that what qualifies us as “of the Spirit” and not “of the flesh,” qualified for the kingdom of God? Perhaps one way to approach an understanding of what Jesus is urging us to ask for is to look at those Scriptures that tie together prayer and the Holy Spirit. 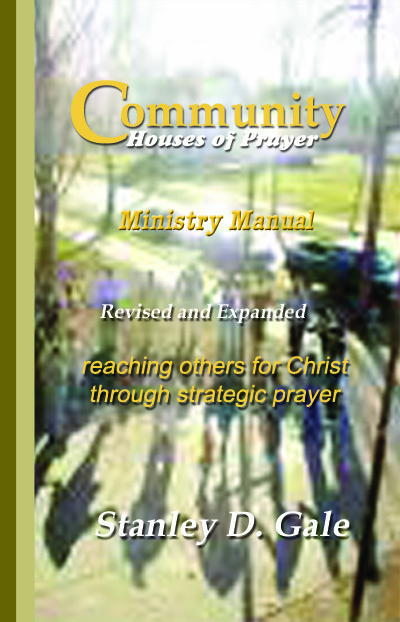 We can note five passages that stretch across the spectrum of the Christian life. It is the Holy Spirit who unites us to Christ for salvation. It is the Spirit who brings to us all the blessings of salvation procured for us by Christ. It is the Spirit who actualizes God’s workmanship of grace through sanctification. It is the Spirit who makes effective our efforts for the building up of the church and expansion of the kingdom of God and His Christ. And, it the Spirit who will make our praying like the praying of Jesus in intimacy with the living God. Isn’t that what the disciples most wanted? The Father will grant the Holy Spirit to those who ask Him. But we must ask.